Prime Minister Benjamin Netanyahu recently expressed his concerns to EU ambassadors about future trends in Egyptian foreign policy. “I am very concerned over some of the voices we’ve been hearing from Egypt recently,” Netanyahu told the ambassadors. 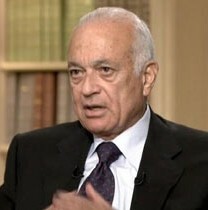 “I’m especially concerned over the current Egyptian foreign minister’s statements,” referring to the new foreign minister, Dr. Nabil Elaraby, 76, who was appointed on March 6 by the ruling Egyptian Supreme Council of the Armed Forces, under the leadership of Field Marshall Mohammad Hussein Tantawi, to replace Ahmad Abu el Gheit. Elaraby served as a judge at the International Court of Justice (ICJ) in The Hague until February 2006, and was one of about 30 high-profile Egyptians acting as liaison between the government and the protesters who were pressing for the removal of President Hosni Mubarak. Two months before his appointment to the ICJ, Elaraby urged Arab nations to sue Israel for atrocities committed against the Palestinians, including genocide. In an August 2001 interview with an Egyptian newspaper, Elaraby was quoted as saying, “I personally support an Arab Muslim claim against Israeli crimes” (Ynet News, March 6, 2011). At the ICJ, Elaraby was a member of the panel that issued an advisory opinion opposing the construction of Israel’s security barrier. Israel protested Elaraby’s appointment to the panel, claiming that he was not objective and held anti-Israel views. His separate opinion on the legality of Israel’s security barrier is extremely revealing. He expresses doubts about the very legality of past UN decisions, including UN General Assembly Resolution 181, the Partition Plan: “Decisions with far-reaching consequences were taken on the basis of political expediency, without due regard for the legal requirements.” He quotes an earlier UN report which asked “whether the General Assembly is competent to recommend” either of the solutions recommended to the UN. Thus, if pushed, Elaraby could be expected to express his doubts about the legality of Israel’s most fundamental rights and claims even prior to the 1949 Armistice Agreements. At a democracy forum on February 25, 2011, Elaraby said Egyptian foreign policy should be based on Egypt’s interests, including “holding Israel accountable when it does not respect its obligations.” In an article in the Egyptian newspaper al-Shourouk after the success of the “25 January Revolution,” he criticized previous Egyptian foreign policy and called for its revision, especially as it relates to the Israeli blockade of Gaza. Elaraby is a jurist who first began meeting with Israelis after the 1973 War when he served as legal adviser to the Egyptian delegation to the UN Geneva Middle East Peace Conference (1973-1975). He also served as legal adviser to the Egyptian delegation that negotiated the Camp David Peace Treaty with Israel in 1978. Based on these declarations, Elaraby can be expected to abide by all of Egypt’s existing commitments to Israel as well as its commitments to all other international agreements and covenants signed by Egypt under Mubarak, as declared recently by the new leaders of Egypt. Moreover, Elaraby has had extensive contact with Israelis over many years of negotiations (1973-1989), which must have given him a greater understanding of the Israeli reality and its attitudes toward the Arab world. Elaraby has written that “the position Egypt is showing towards the issue of the Gaza siege contradicts the international humanitarian law that forbids holding civilians under siege even in periods of war.” According to the London based pan-Arab daily al-Quds al-Arabi, Elaraby has warned Israel against the consequences of carrying out a military operation in Gaza (Mideast Mirror, March 25, 2011). The first item on Elaraby’s agenda is the issue of the distribution of the waters of the Nile River. Egypt is now devising how to react to the inclusion of Burundi in the agreement on the partition of the Nile’s waters. Burundi’s addition works to the disadvantage of Egypt, which is experience the loss of many of its previous privileges, including the right to oppose the construction of dams on the Nile far beyond its borders. Egypt and Sudan have long retained 90 percent control of the Nile’s waters by virtue of a 1929 colonial-era treaty. A 40-member Egyptian delegation held talks in Uganda beginning in April on a new treaty with upstream countries for the equitable sharing of Nile waters. Even in post-Mubarak Egypt, one should not overestimate the foreign minister’s role. Decisions of strategic scope are not made by the foreign minister; nor are they the sole power of the prime minister. The foreign minister remains a technician who executes the policies of the leadership, which today is the ruling Military Council under Field Marshall Tantawi. The signals being sent by Egypt today lead us to assess that Egypt will not radically change its policy toward Israel, or at least, if this is to happen, any deterioration will be a slow and gradual process. The intention of the new team in Egypt seems to be to maintain the Israeli issue as a routine one compared to more pressing issues on the Egyptian national agenda. Egypt wants to show that Israel is being treated like any other country and that it is not enjoying any preferences or priorities over others and certainly not at the expense of the Egyptian people. From this perspective, the investigations into the gas deals between Egypt and Israel are meant to uncover corruption by the ruling Mubarak family and its collaborators. Gas will be sold to Israel only if such sales meet the general interests of Egypt, and will be made at the best possible price. As Egypt experiences difficulties in stabilizing and consolidating the regime and the domestic scene, its leaders seem to want to reduce to a minimum Egypt’s relations with the Jewish state and keep them to pure basics. Peace will remain cold, maybe even colder than before – perhaps what may be called a “polar peace.” Elaraby will be torn between his own ideological proclivities, which are unfriendly to the idea of strengthening the peace between Israel and Egypt, and his own experience and pragmatism which he acquired through his years in Egypt’s Foreign Ministry. The direction he decides to recommend to his superiors will depend on the messages he hears from Washington, London, and the rest of Europe.